QCOSTARICA – When was the last time you used a payphone (public phone)? Are they still around? 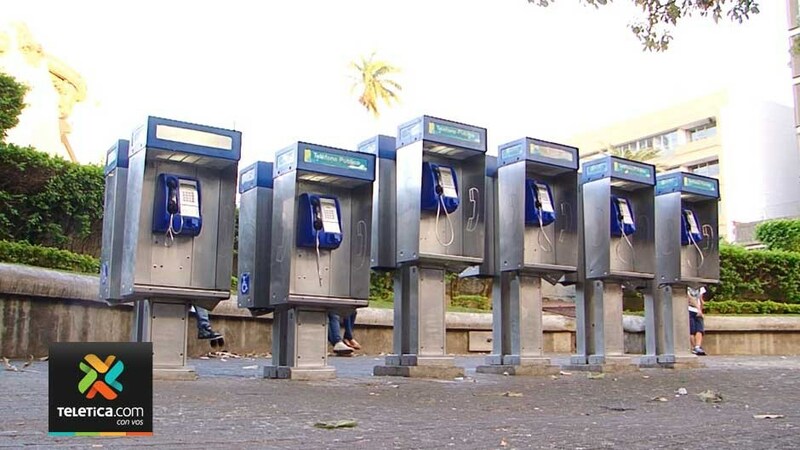 With their decline in use, the country’s state telecom, the Instituto Costarricense de Electricidad (ICE), says it retired last year some 2,500 payphones. 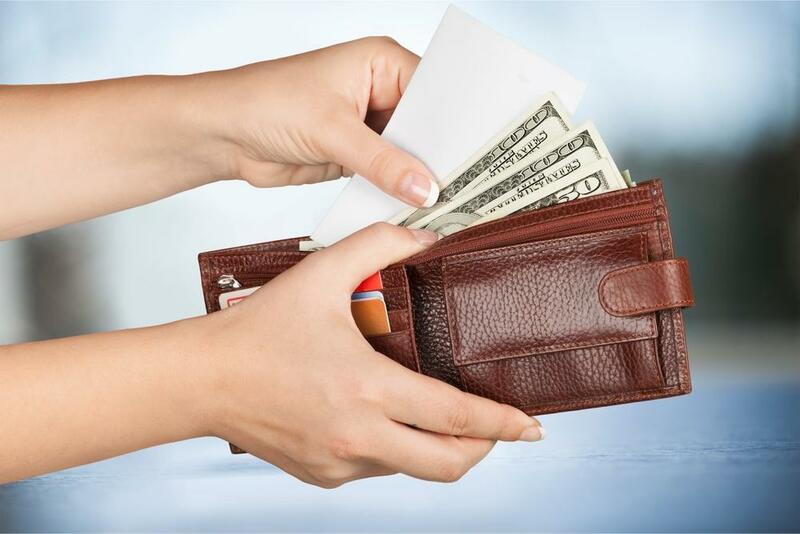 According to ICE, currently it still has 5,240 payphones, amassing a loss of ¢560 million colones (over a million dollars) a year for the state agency. Of the standing payphones, ICE says 80% of them are used by prisoners. In the streets payphones are few and far between, only used by someone who forgot their cellular phone or has run the battery dead. None of the current payphones actually use coins, calls can only be made by use of a calling card or collect through 1110. More: Have You Seen One Of These Lately? The ICE says it is looking at ways to offer new services through the payphone, one of the possibilities is to server as a source for wireless internet, or turning pay phone booths into Internet kiosks. Payphones by the Banco Central in downtown San Jose. Long lines to use payphones were normal. In the days before the cellular phone, public phones were easy to find and cheap to use. 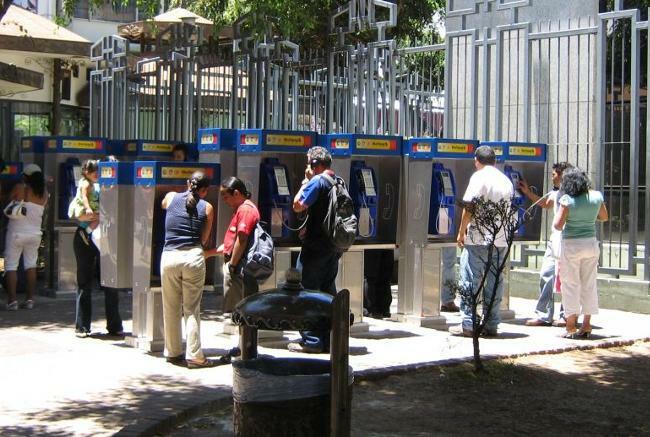 With payphones being a major source of communications for Costa Ricans without a landline and installation and connection taking up to years from request, lines at payphones were long at times. 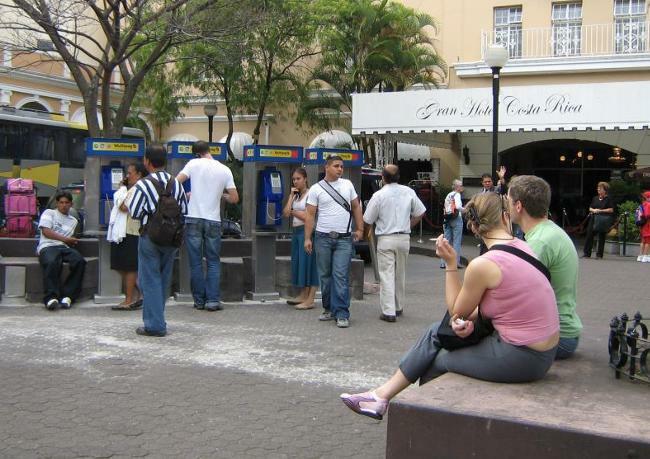 The payphones in front of the Gran Hotel Costa Rica in downtown San José was also a source of social gathering. Payphones were often found in public places, transportation hubs such as airports or train stations, buses, convenience stores, malls, casinos, and on street corners. Banks of payphones were common in the downtown cores, typically located near the park or town square. In downtown San Jose, two major payphone banks were diagonal to the Plaza de la Culture and in front of the Banco Central.